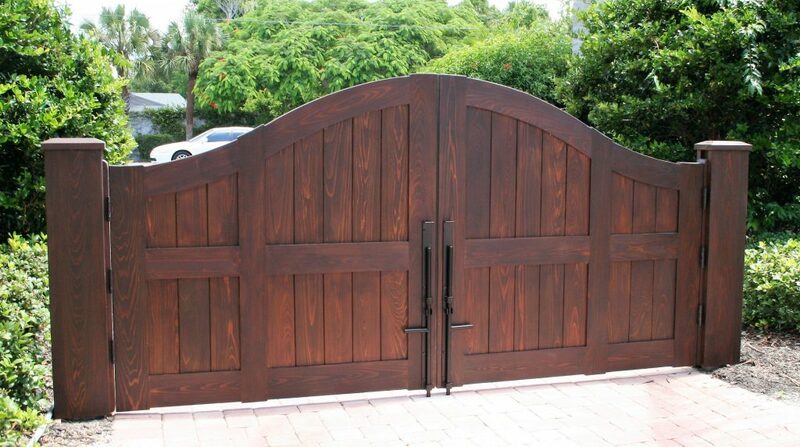 This Wood Driveway Gate spans about 12ft. Finish used is Sansin sdf. Sansin is one of a few products that offer a breathable top coat, critical for outdoor exposure with wood products. We make custom Garden, Pedestrian and Driveway Gates for the Florida and Southeast area.